At the end of last year we had no plans for 2016 travels. It took us a while to get started, but good things always come up. As the year progressed, we went looking for culture, history, food and wine, and antique airplanes. This year we’re already planning ahead. So what gets you to planning your next trip? Time to start planning… check around our site and see if any of our stories inspire you. All our planning and packing pages are there to help you with your next trip. Clicking on any of the photos starts a slide show with bigger photos and more explanation about our 2016 travels… So… Are you ready? Before tackling the French Quarter we took in some Zydeco at a local hangout called Rock ’N’ Bowl. The next day we drove through Bayou county to Patterson for the Wedell-Williams Aviation and Cypress Sawmill Museum. Dodged rain and flooding to get back to town. 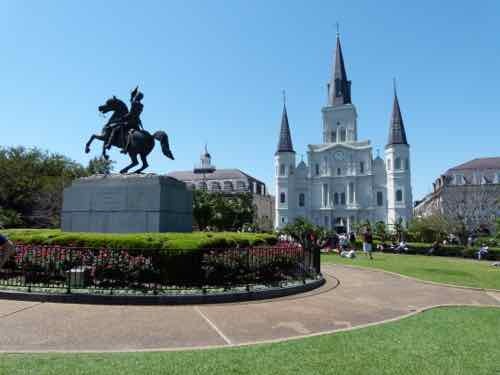 We spent three days wandering the French Quarter. Rode the Steamboat Natchez, went to Mardi Gras World to see the floats, and ate in several great restaurants. This was a trip with old travel buddies and a mutual friend lives there. 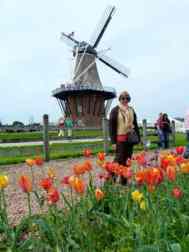 We stopped for a visit and the Tulip Time celebration with lots of tulips and Dutch dancing. It wasn't just tulips. We made time to explore Grand Rapids and have a quick tour of Lake Michigan lighthouses. On arrival we conquered the subway and buses to venture out to the Luftwaffe Museum at Berlin-Gatow. Mark and Joe loved the aircraft, and all the sunshine helped with jet lag. 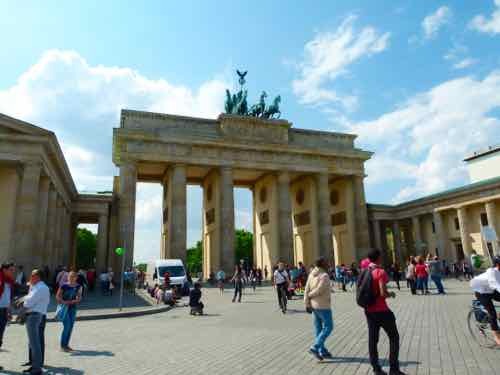 We wandered around Berlin for a couple of days hitting the museums, remnants of the Wall, and Brandenburg Gate. Took a sightseeing cruise on the Spree River, and wandered into neighborhoods we hadn’t visited before. Headed north to Peenemünde. 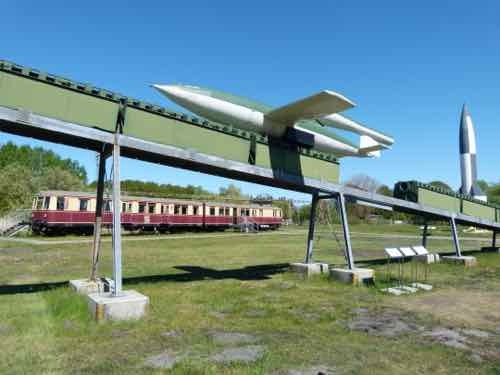 This town on the Baltic Sea was involved in the development and production of the V-2 rocket during WWII, but there's not too much left to see. Stayed in the cute seaside resort town of Ostseebad Karlshagen. We used that as a base to tour Usedom Island to see windmills, little castles, and Hanseatic towns. Mark managed to get us to the Otto Lilienthal Museum in Anklam. Lilienthal was an early aviation pioneer who experimented with all kinds of gliders. 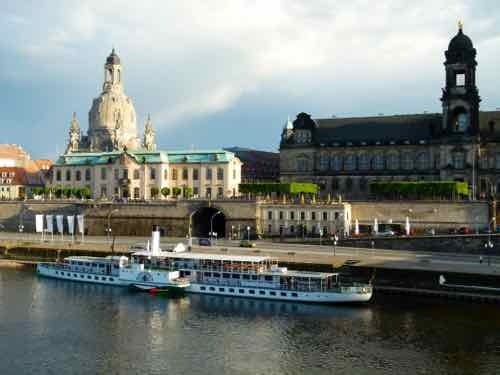 We drove on to Dresden to explore the old town, see the museums, and ride the paddlewheel riverboats which still run on steam. 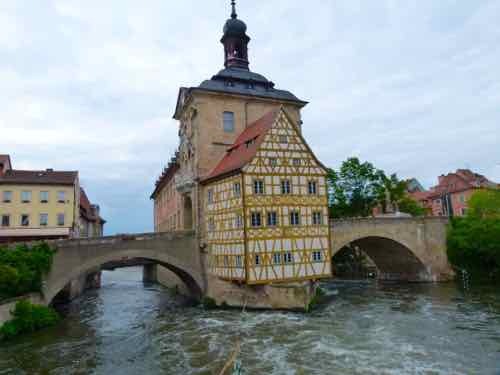 Stopped for a night in Bamberg, tried their smoked beer, and wandered this UNESCO World Heritage town… We toured the Pommersfelden castle just outside of town, then it was out into the country side. Solnhofen has limestone formations full of fossils. 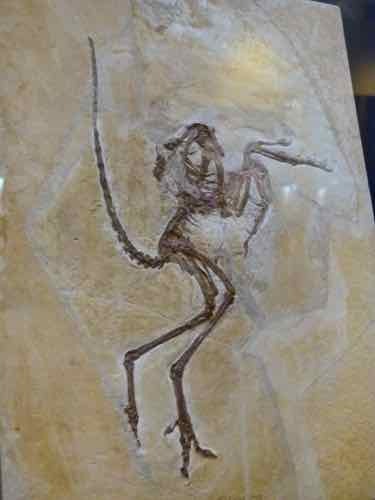 This is the spot where Archaeopteryx was found. There is a terrific little museum and quarries where you can dig out fossils yourself… though we didn’t have time for that. 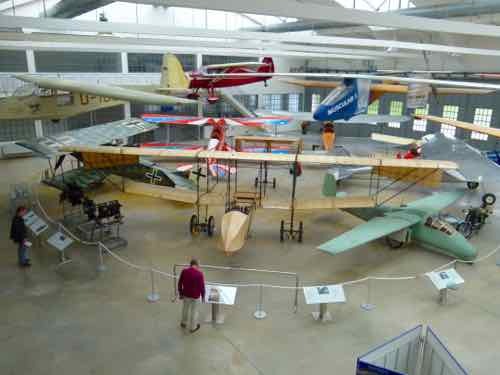 We visited the Deutsches Museum Flugwerft Schleissheim, an Aviation Museum near Munich which was great for aviation buffs. Also saw Neues Schloss Schleissheim. We didn’t go into Munich this time, but headed on south to Lake Constance. First stop on the lake was Friedrichshafen where we saw the Dornier Museum and the Zeppelin Museum… and saw the Zeppelins fly. 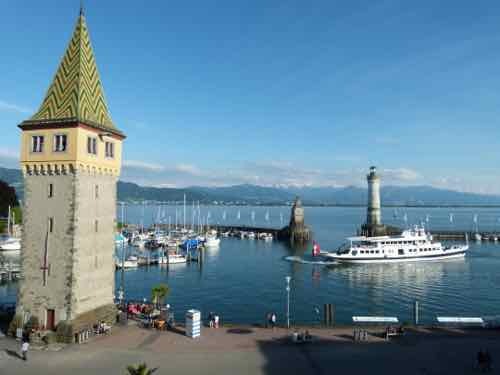 We stayed in Lindau… a very cute town that sits on its own little island in the Bodensee... and our room had a killer view. We’re not done with airplanes yet... our 2016 travels seem to be full of them. See Antique-Airplanes.com for more. 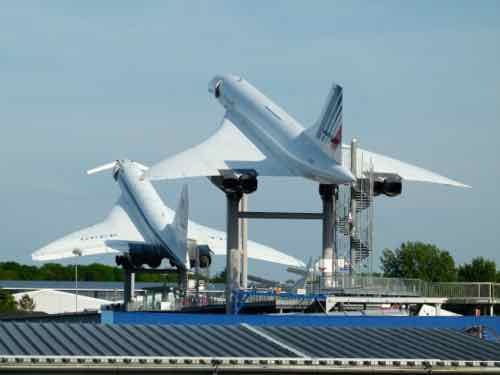 We drove on to Sinsheim to see the Sinsheim Auto & Technik Museum, and then on to Speyer for the Technik Museum Speyer. Both have cars and trains and much, much more to see. There was also a beautiful Cathedral to visit in the old part of that town. 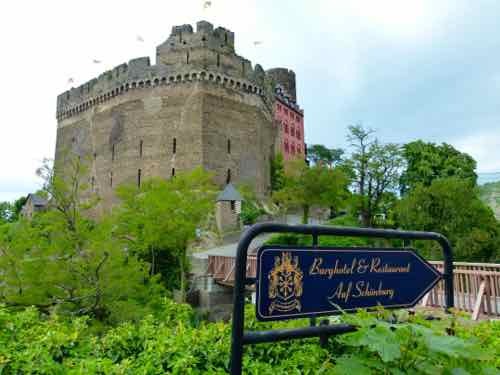 We ended the trip with a romantic night in Burghotel auf Schönburg, then a drive along the Rhine to Rudesheim and to Frankfurt for our flight home. 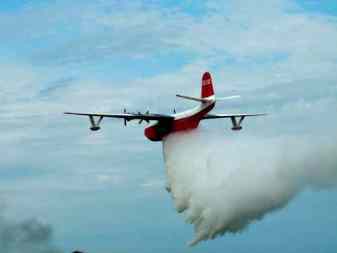 Mark wanted to go again this year to see the Martin Mars fly. She not only flew... she did a demonstration water drop. Stopped in the little town of Brodhead for a fly-in, and we spent a day exploring Green Bay. 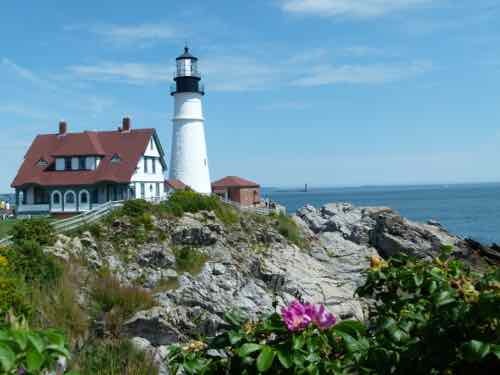 We visited old neighbors in New Hampshire and took a side trip to Maine to visit the Portland Head Light, Kennebunkport… and have lobster rolls. We were getting a little twitchy because we had no international travel plans for the rest of the year. 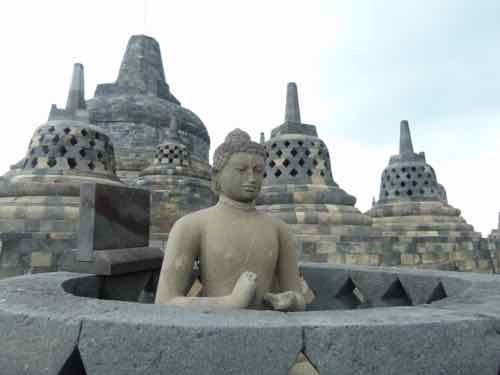 We started in Jakarta on Java Island. It’s a big city, but worth visiting to remember it’s not all wildlife and beaches. 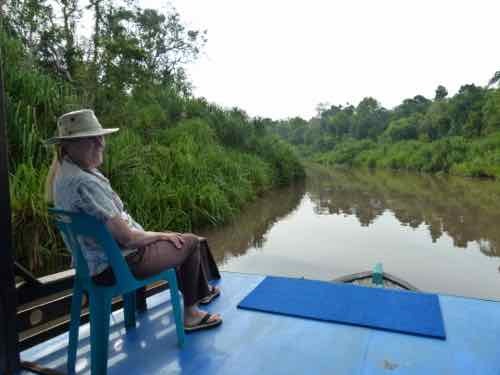 Flew up to Borneo and immediately boarded a Klotok boat to cruise up the Kumai and Sekonyer Rivers to see Orangutans. 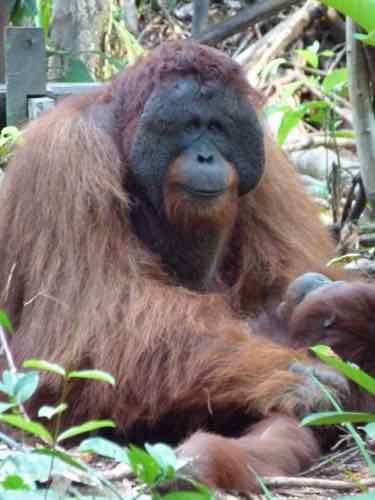 Meet Gundul, the dominant male. There were Proboscis Monkeys, Gibbons and Long-tailed Macaques along the way. After three days we flew to Samareng back on Java Island and drove to Yogyakarta in pouring rain. 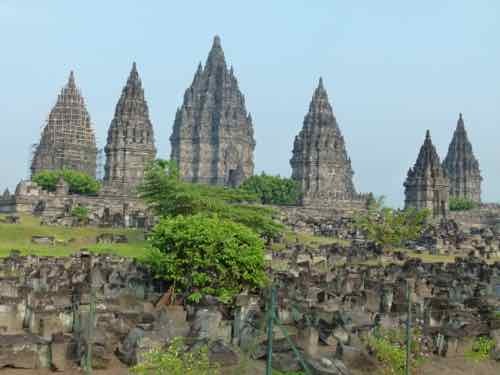 The next day we visited Borobudur an 8th-9th century Buddhist Temple; Prambanan a 9th century Hindu Temple; and the Kraton Palace, home to the Sultan of Yogyakarta. We cruised for 4 hours to Kalong Island to watch the Flying Foxes (fruit bats) leave for the night, then we went on to moor off of Rinca Island. 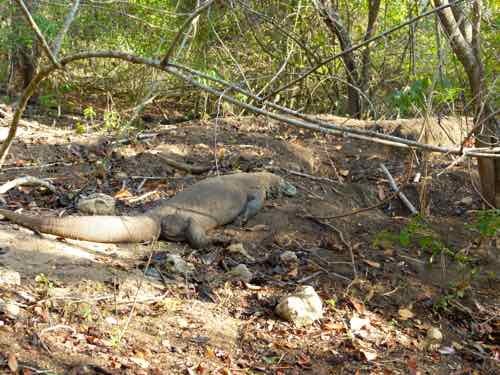 Starting at 7 in the morning we hiked with a ranger and saw 12 Komodo Dragons… young ones, females guarding nests, and a few of the big guys. 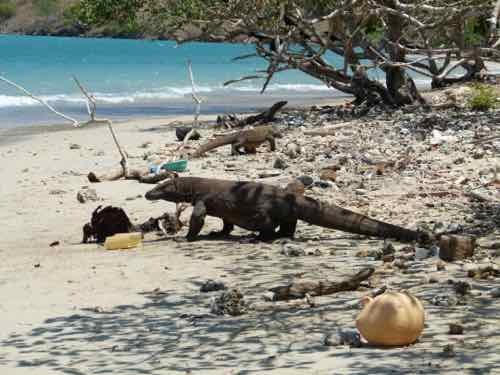 A 4 hour boat ride got us to Komodo Island where we saw 8 more Dragons! They had congregated on the beach where a deer had died. 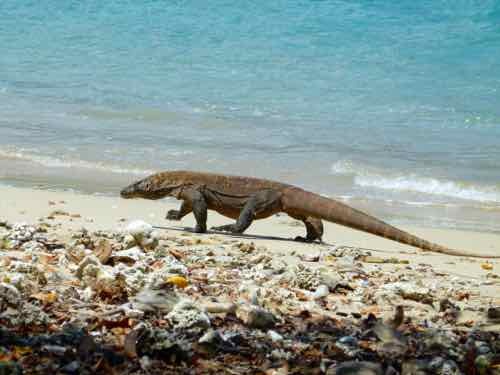 Very cool (and lucky) to see a Komodo Dragon just strolling along the beach! Snorkeled and then boated back to overnight in Labuan Bajo. We flew next to Lombok Island for villages and snorkeling on the Gili Islands, then it was on to Bali. 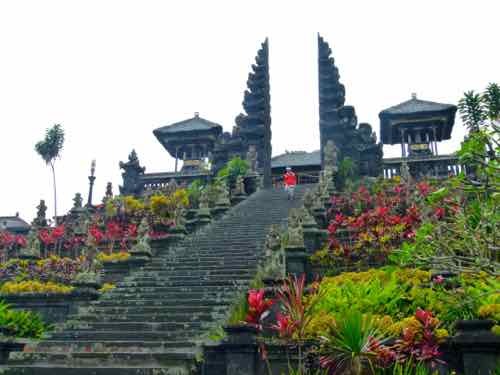 Though most of Indonesia is mainly Muslim, Bali is predominately Hindu. There were Temples everywhere. We loved watching the traditional dances. 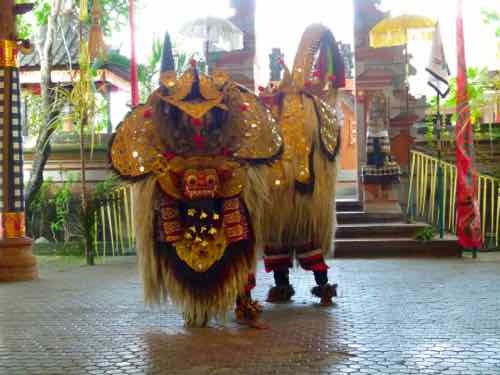 Mark wanted to bring home a Barong… a mythical lion-like good guy. Oh yes… and there were the beaches of Bali. We flew on 5 internal airlines, had lots of drive and boat time, but lots of fun and memories. Have our 2016 travels inspired you to plan for one of these destinations? We’re starting to think about where we want to go next year. We're not going to tell you what... You'll have to come back next year. Remember, these photos of our 2016 travels can be viewed in a slide show too. Write us a travel story about your 2016 travels... or any year. We also welcome your comments below on this page or any of our pages. Like us on Facebook, we put photos up there too occasionally.